Watching the kitties resulted in a bottle of red wine, which was greatly needed this week. I also dog watched…but for a completely different person which resulted in free bacon wrapped steak. Steak and red wine are your friends. We actually got these grilled off without a hitch. 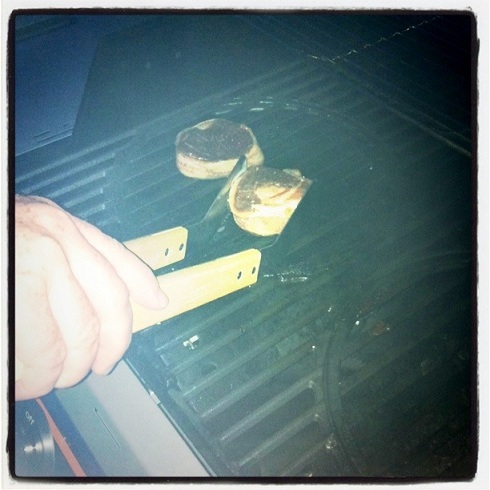 Minus the fact that we cooked these right at dusk when all the mosquitoes were out…and then came inside. We spent the whole night playing Whack-A-Mole but the mosquito version. Trust me, the take home version of the game is not fun. Leave large itchy welts. Sigh. Good steak though. 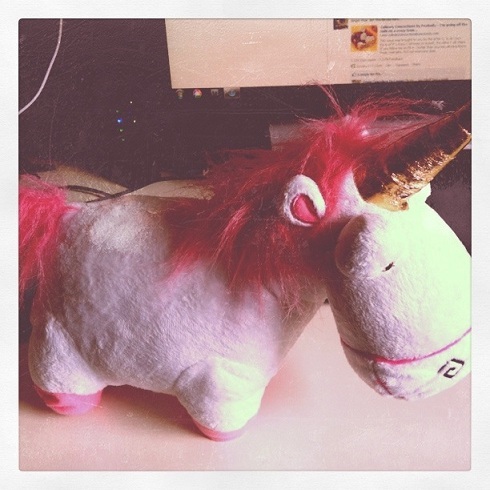 Told readers I was holding my breath until someone got me a stuffed unicorn (I may have been watching Despicable Me). Guess what showed up in the mail from one very nice ex? Found this. You think I would have wanted it but it seems wrong, and not in a good way seems wrong. What are you feelings on this? Made cupcakes for kiddos. 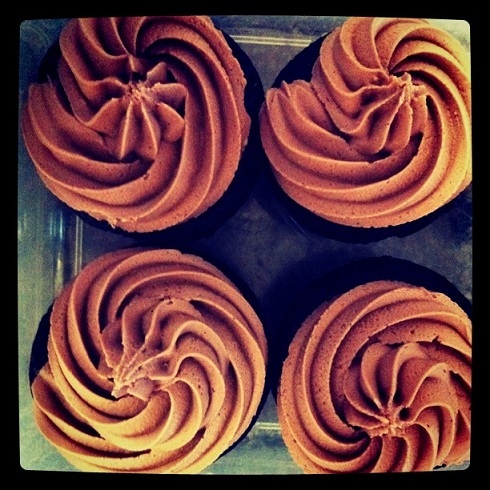 Chocolate with Nutella-Chocolate Buttercream. Yum. 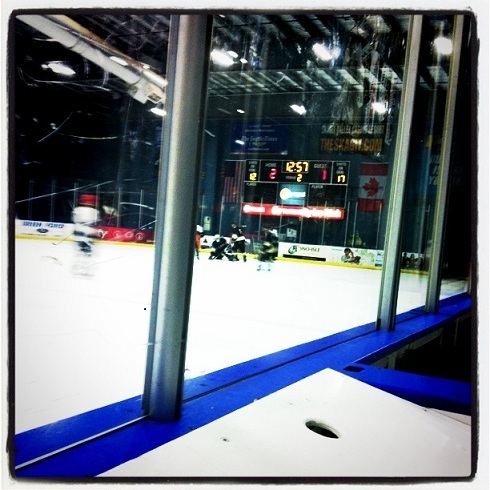 And spent my night scorekeeping hockey to pay for my own hockey tonight. 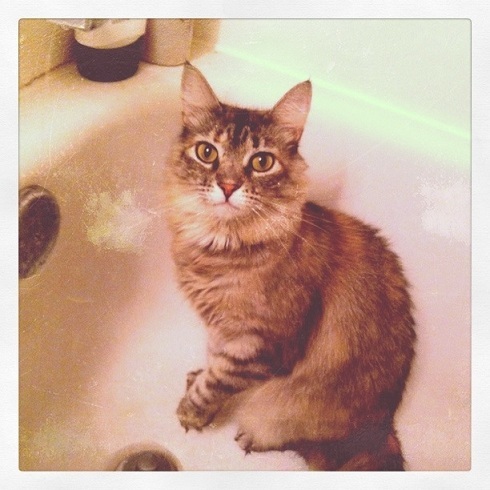 A cat who likes to sit in the bathtub? Now there’s a switch! Our cats hated water. 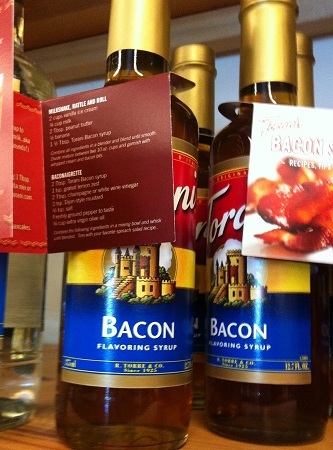 Don’t think I like the idea of bacon-flavored syrup and I doubt I’d like the taste either. Bacon flavored syrup? Hmmm… I can’t even imagine what that would taste like. Now, bacon with maple syrup on it…..that’s something I can get into! That cat is so pretty, and how sweet of your ex! Sounds like you had a busy week – hope your weekend is relaxing. I saw that bacon flavored syrup and tried to think of one single application where it would taste good.. I couldn’t come up with anything. 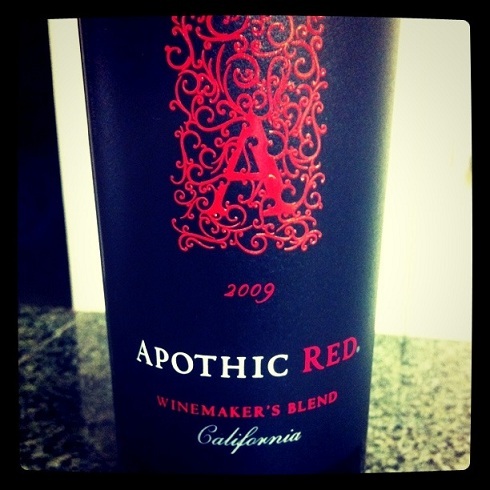 Mmmmm, Apothic red wine is one of my faves!!! So smooth, sounds like a good night to me. And yum on the cupcakes. I don’t think my aunt’s cat knew how to lap water from a dish — she would go to the bathroom sink and drink from the dripping faucet. One time I asked my gramma why they didn’t fix the faucet and she said something like “That’s where Fat Girl drinks!” Well duh, then, never mind the wasted water/money! You totally had me, even with the cat since I am allergic, they are cute… that is until the bacon flavored syrup. Now, I love bacon. 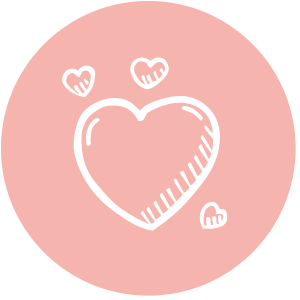 I love bacon. Just unsure if I can get on board with bacon flavored syrup. Does it truly taste like bacon? 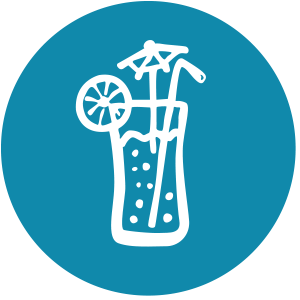 What is your plan for such a concoction? that’s what i do! 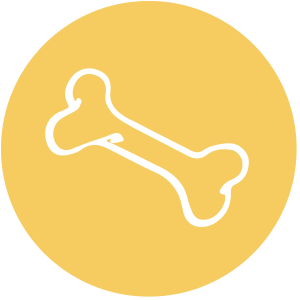 petsitting. I didn’t know you did it too. its fun until christmas rolls around and i’m straight out. I think I will pass on the bacon syrup, I would prefer crispy bacon strips with my coffee and that adorable unicorn! Thank you ex! Everyone needs a unicorn! Yeah, not a fan of the ‘weird savory/sweet’ combination- why don’t we just do meatloaf flavored creme’ brulee or pork chop pudding? Slaw,Spinich salad, BBQ, BBQ, and Bourbon! Gorgeous cat. The circulating water dish is very popular for cats and sleeping in the sink a choice location. The bacon syrup – be brave, get it! I love bacon and when I saw it, I had to get it. My husband was so skeptical as well but we dived in together and it was worth every drop. Its VERY tasty! It smells like bacon and it basically taste like bacon with some brown sugar on it. 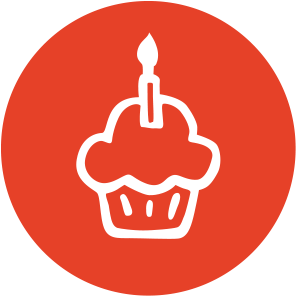 I plan on making some frosting with it for my breakfast cupcake!